We’ve all got goals that we want to achieve but many of us get stuck along the way. You may start thinking about how you’re going to get it all done and what’s going to happen when you tell that one person about it and if you’re going to be able to handle all the stress of the project. And then you stop. Why? 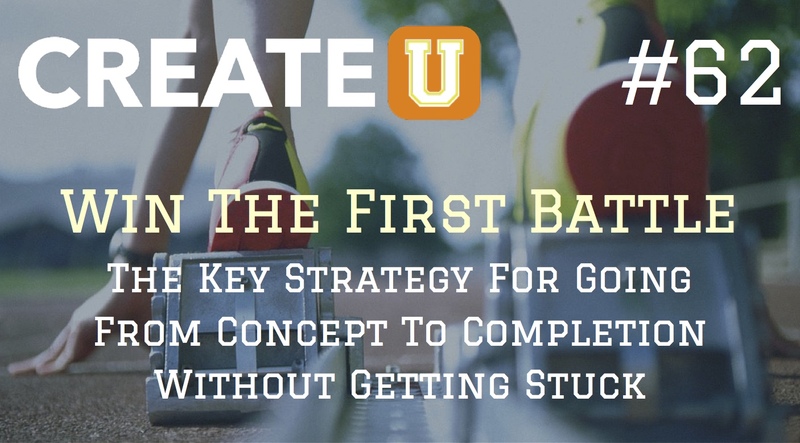 Because you were missing the key strategy for going from concept to completion without getting stuck. On today’s show, I’m going to be sharing why you must win the first battle and how it can help you take your goals from concept to completion. 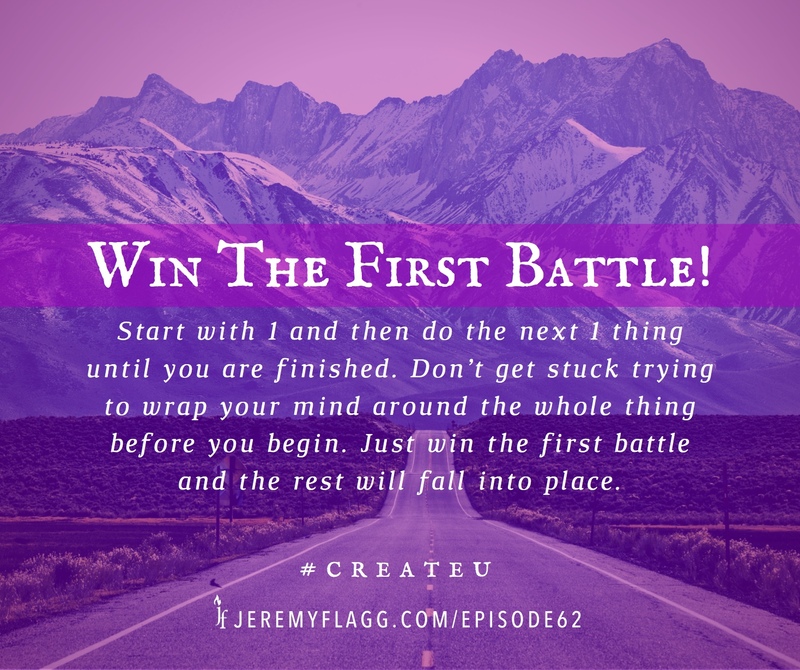 So, if you’ve ever struggled with feeling overwhelmed by the size of the what you want to achieve and are having trouble making it happen, then listen to this episode as I show you how to win the first battle. Save and share this quote card to remind yourself to win the first battle! Keep those questions coming! If you’d like to submit your question for me to answer on an upcoming episode or to be considered for your very own Breakthrough Conversation on a future show then please visit the podcast questions page and fill out the form. Question: What have you identified as your first battle to win? Write it down and commit to making it happen! You can leave a comment by clicking here.